Bringing fast, widespread Internet to rural Africa has proven vexing for companies that have tried — and largely failed — with strategies ranging from drones to satellites. Now, a sister company of Google says it has the answer: balloons. 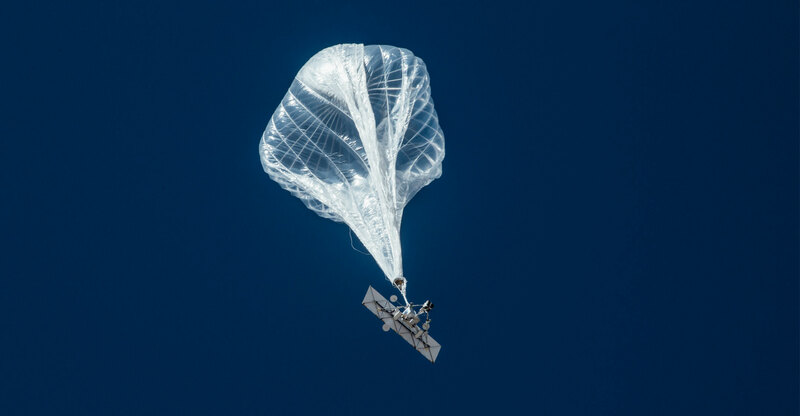 Loon, spun out of the search giant’s X innovation lab in July, is teaming up with Telkom Kenya to build a network of high-flying balloons to connect people in the East African country starting next year. The prize for Alphabet, the parent of Google, is the opportunity to profit from advertising and other businesses tied to bringing the Web to more of sub-Saharan Africa, where hundreds of millions of people lack net access. Loon’s Kenyan project is modelled on technology used to temporarily connect people in Puerto Rico after Hurricane Maria last year knocked out power supplies and phone service. In Kenya, Loon says it will start with about a dozen balloons — enough to cover roughly 10% of the country — and gauge how many more are needed. Loon has begun work with the operator to install ground stations in Nairobi and the city of Nakuru in the western highlands that will beam signals to the balloons. The pumpkin-shaped blimps, almost as big as the bubble over a tennis court, ascend about 20km into the stratosphere, above planes, birds and storms. Westgarth says each carries “several tens of kilos” of routers, relays, batteries, antennae and other electronic gear, and can serve 5 000 square kilometers of land, or 30 times the area of a telecommunications tower. Signals are beamed up to the balloons, which can relay them back to devices below or pass them on to other balloons. The balloons have solar panels to recharge their batteries and can stay aloft for several months before they must be brought down for servicing. Loon declines to disclose costs, but says the technology is far cheaper than building power lines and towers to reach sparsely populated areas across difficult-to-access terrain. Loon’s design places a balloon within a balloon. The outer bag is inflated with helium to provide lift, and the inner is filled with air — which is heavier — that is added or released to control altitude. Loon can fine-tune the location of a balloon by raising or lowering it to catch winds moving in different directions at various layers of the stratosphere. Westgarth says the project suffered a litany of woes in its early years, with many false starts exploring ideas such as hundreds of thousands of tiny balloons and various methods of steering the balloons and powering the system. Loon was conceived to create a global network of “floating cell towers in the sky” — one the company said could become a multibillion-dollar business. 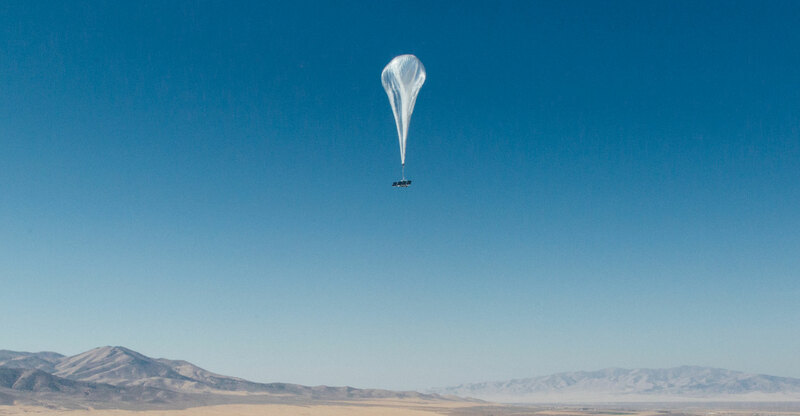 But Alphabet last year scrapped plans to blanket the globe, focusing instead on small numbers of balloons in particular regions to speed commercialisation. A pilot project in Indonesia shows how even those scaled-down ambitions can be a challenge. After a trial in 2016, further launches were cancelled to deal with concerns raised by air traffic controllers. Loon joins a long line of ambitious projects aimed at helping underserved Africans. Facebook in June ditched a programme to build passenger jet-sized drones to deliver Internet because global aviation and spectrum regulations don’t support the system. Instead, Facebook has said it will work with partners like Airbus on high-altitude connectivity. Carriers are also trying to work around problems like a lack of rural power, with mixed success. Vodacom Group has built solar-powered base stations and cellphone towers in the Democratic Republic of Congo, Mozambique and Lesotho. Loon is betting its Kenya project can be replicated elsewhere. Westgarth says he’s in contact with countries across Africa, Latin America and Asia about similar agreements, which he says can lead to a profitable global operation.